Yesterday marked my last day of Whole30, and let me tell you - I am so glad. I know the rules of the Whole30 will tear you apart with tough love. I remember the line that says something like "drinking your coffee black is not hard. Fighting cancer is hard." And yes, fighting cancer is hard. Giving birth is hard. There are things in life that are so difficult, they're damn near impossible. Then there are things that are way less difficult, but are still their own degree of difficult for people. I will not tell you that the Whole30 was not difficult, because there were definitely aspects that were. Throughout the 30 days, I was feeling incredibly proud of myself. That was the one thing that kept me going - knowing I was controlling myself and just knowing I could get through the 30 days. So, let's start by saying that 30 days isn't a long time, and it is. The first several days (possibly couple of weeks), my blood sugar dropped a lot, and all I wanted was a peanut butter sandwich and a glass of milk. That was the biggest struggle for me starting out. I did the Whole30 to prove to myself I could, to try to be healthier, and to try to stabilize my blood sugar. I did that. I completed the entire round without cheating once, and I've lowered my blood sugar a lot. I don't necessarily feel healthier, though. I feel less weighed down, because I wasn't eating greasy, heavy foods. But I have been exhausted, irritable, and have had terrible headaches almost all month. I finished my round, but I can say I probably won't do it again. I will switch out some meals in the future for healthier breakfasts, or healthier lunches or dinners, but this is not something I plan to do a repeat of. So, what was I eating for thirty days? I was eating a lot of the same things over and over. I work Monday through Fridays 8 to 5. Then Tuesdays through Thursday, I work an internship 5 to 8. I sometimes work on the weekends, and I'm a full-time graduate student. I had a hard time finding meals to tote on the go, especially since I'm not home very often. Below is basically what I was eating for the entire thirty days. Breakfast on weekends: Diced potatoes, scrambled eggs, sugar free bacon, and a ton of peppers and onions. Lunch: Chicken salad on a bed of butter lettuce (you can find several varieties on Pinterest to switch it up). Dinner: Preservative-free hot dogs with potatoes, onions, and peppers. Of course there was a little variety every once and a while, but since Andre wasn't doing the 30 days with me, it was difficult to find something to eat if he'd grabbed himself dinner. To be honest, I will be eating Chickfila today. I feel like I have just really, at this point, been depriving myself, and I don't feel like that's really a healthy way to live. So, maybe this works for some, and I wouldn't discourage anyone from trying it for themselves. I just did not personally enjoy the experience. 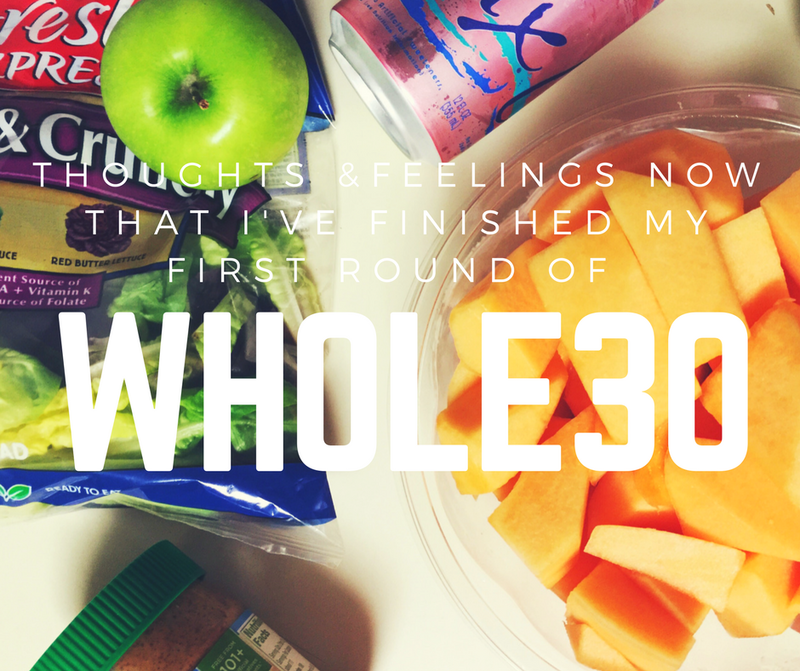 Have you gone through a round of Whole30? Tell me about your experience! YAY for completing this and for ChickFilA! You know I am going to get down with some CFA sauce as soon as Thursday arrives ;) I'm sorry you didn't feel totally different, but at least you know changes were happening from within! So proud of you for killing this! Yes. I am so thrilled about Chickfila. That's so bad, I know! Yes. I'm happy I did it and made it through it, but it's not something I would go through again, for sure. I'm with you. I've never done Whole 30, and I think I could do most of it minus the coffee thing. BUT I don't really want to. I'd rather just eat mostly healthy but still put creamer in my coffee and have occasional treats and cheat meals. Yes! I agree. And I think that's one of the major things I learned from doing this reset. I'm on Day 2 right now. I'm sure I'll be feeling all the feels in a few more days! You got this! 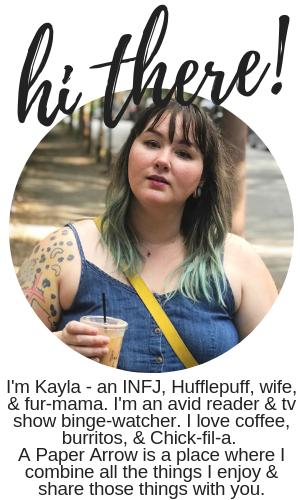 Let me know if you need someone to talk to (or rant to!). Congratulations! That's really awesome. I'm so bad at saying NO, especially when I'm in a mood ;) Way to go girl! Yeah. It was really difficult, but it taught me I can say no. I just need to practice that more! Congratulations on completing! I think that's so great, and I totally agree with all that you said -- "Then there are things that are way less difficult, but are still their own degree of difficult for people" treat yourself, you deserve it! I maybe treated myself a little too well yesterday and feel not so great today! Lol. Definitely a reminder to stay balanced.